Colette at the opening of her current show, “Love in the Attic…Mermaid in the Closet,” at Mitchell Algus Gallery. Photo by Katherine Jánszky Michaelsen. 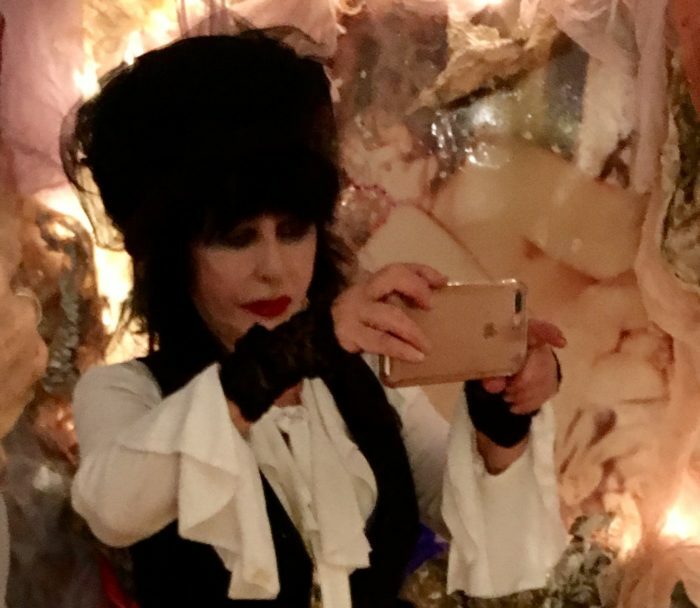 The pioneering performance and multimedia artist Colette, who has lived in Berlin for the past two years, is back in New York for a short stay. The circumstances of her visit are all too familiar to New York artists: as real-estate prices keep rising, storage spaces get sold for redevelopment, leaving customers scrambling to rehouse their possessions. For such a prolific artist, moving wasn’t easy, but at least it turned up many forgotten gems. Another plus: while in town, Colette was able to mount an exhibition at the Mitchell Algus Gallery (132 Delancey Street; up through October 15). Gallery 98’s 2013 online exhibition “Colette: On the Streets and in the Clubs, 1972–85” surveyed the artist’s early history. In addition to pioneering many performance modes, like her widely imitated sleeping pieces, Colette has successfully created forms of documentation that are fine artworks in themselves. 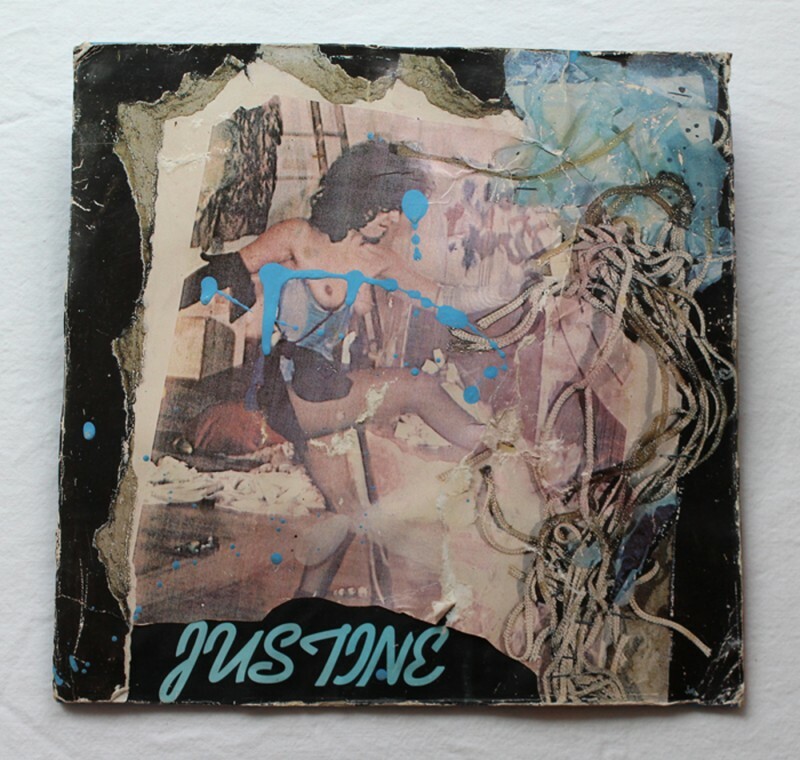 Among the most collectible are her “Records from the Story of My Life,” a long-running series of twelve-inch-square collages (sized like LPs) that incorporate photographs, paint, and other materials. In one example (below), Colette added paint to a photocollage related to her 1978 performance at P.S. 1. Colette, “Colette as Justine of the Colette Is Dead Co.,” mixed media, 1978. Among the incorporated materials are scraps from a poster created for Colette’s window performance at the Fiorucci boutique (which featured a photograph of a performance earlier that year at P.S. 1). Contact Gallery 98 about this and other early Colette works.